been known to be an exhilarating experience…UNTIL NOW! calorie-burning, body-energizing, awe-inspiring movements meant to engage and captivate for life! positioning itself as the single most influential movement in the industry of fitness. Regardless of your dancing ability, ditch the workout, "Join the Party™" and burn up to 500 calories an hour. 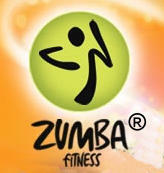 What is Zumba Fitness ?